These are all original wood frame windows. The designs have been applied with colored vinyl, which is available in a rainbow of colors. The first two photos are original windows from a church we currently attend. I created these designs (thank you pinterest) for our Catholic School fund raiser where they will be available on the auction this weekend, March 15, 2015. 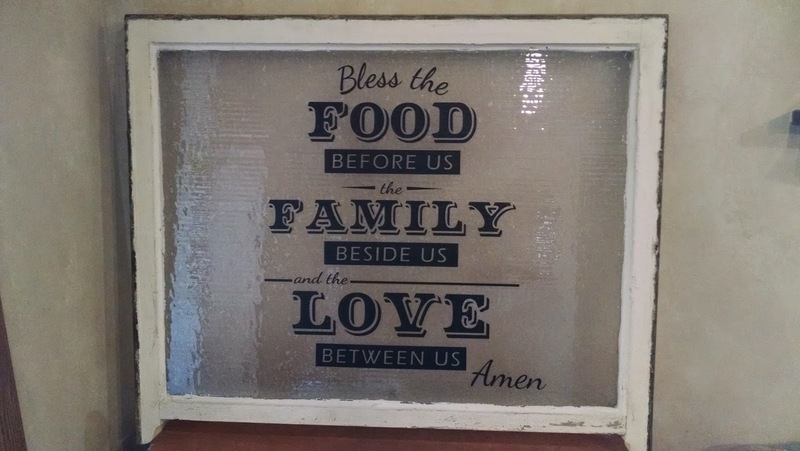 This John 3:16 window is approximately 25"x33". This window is approximately 33"x25". Notice the pedestal legs of this window, which gives it a lot of character and I think would look great on top of a buffet. This window happens to have cut glass in it. So one side is smooth and the other side is cut with what looks like snowflakes or stars in the glass. Which is what makes this window much heavier than all the other ones, but still beautiful. 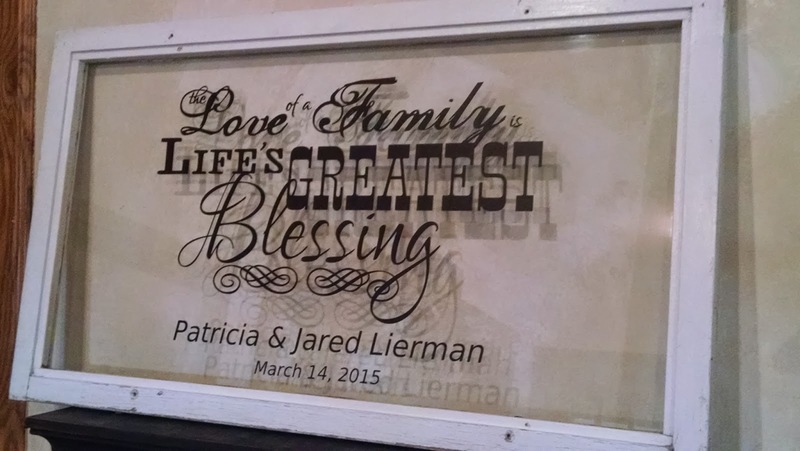 This window is approximately 28" x 15" and turned out stunning for a wedding gift. I have plans to design more of these for wedding options or they would be great for families too. Just like the baking dishes I etch, there are so many possibilities!